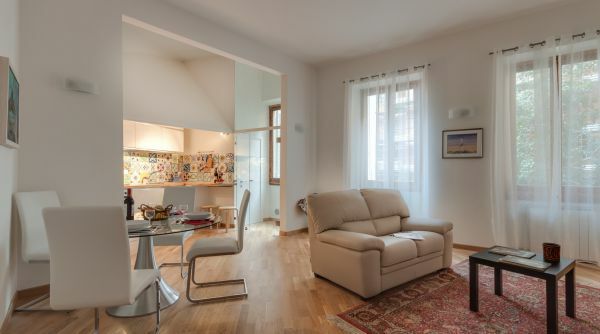 Stylish, comfortable, located just outside the fuss of the touristic center, and yet only 10 minutes away from the Duomo: this apartment is your ideal choice! 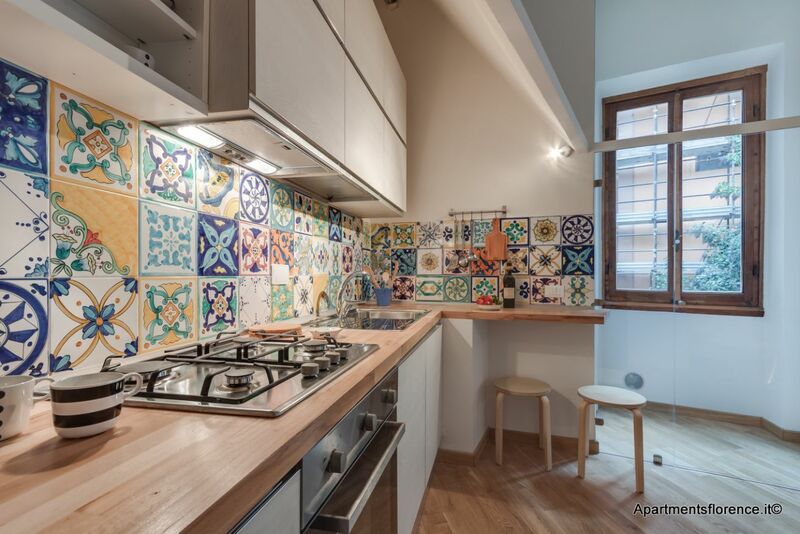 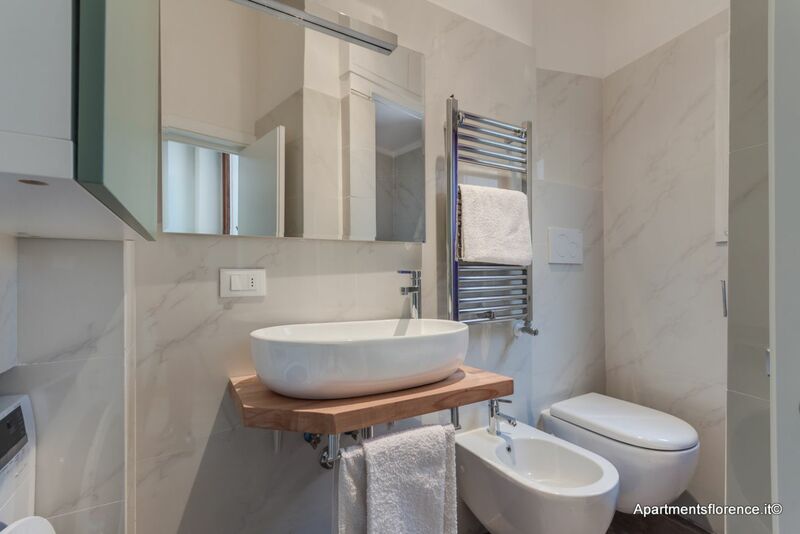 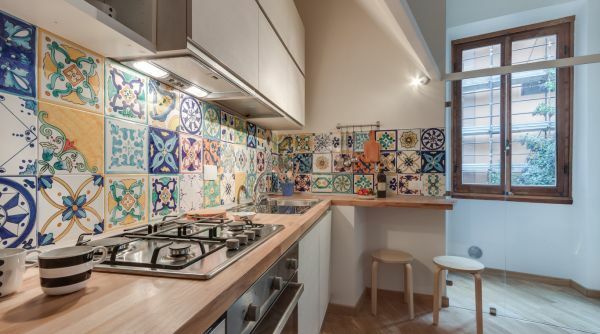 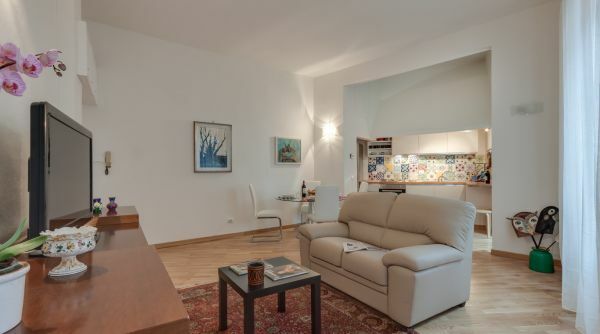 This apartment is located on the second floor of an elegant residential building in Via Madonna della Tosse, a secondary street just off Piazza della Libertà, ten minutes away from the Duomo and the Galleria dell'Accademia. 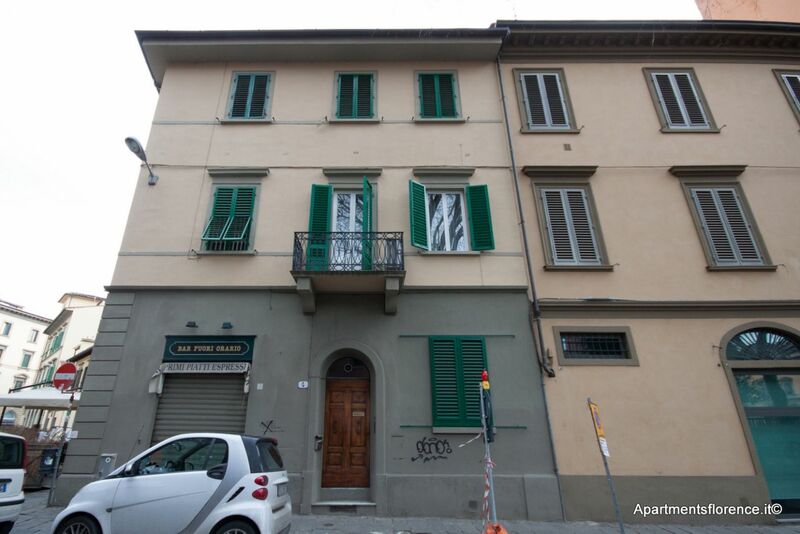 Being in a side street, the apartment is really quiet. 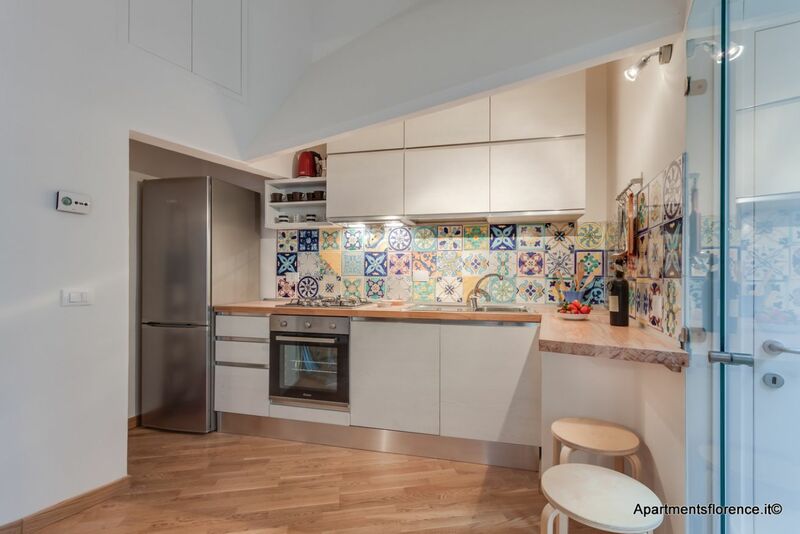 The whole place has just been renovated and redecorated, combining design items, elegant style and rustic features such as the warm parquet flooring. 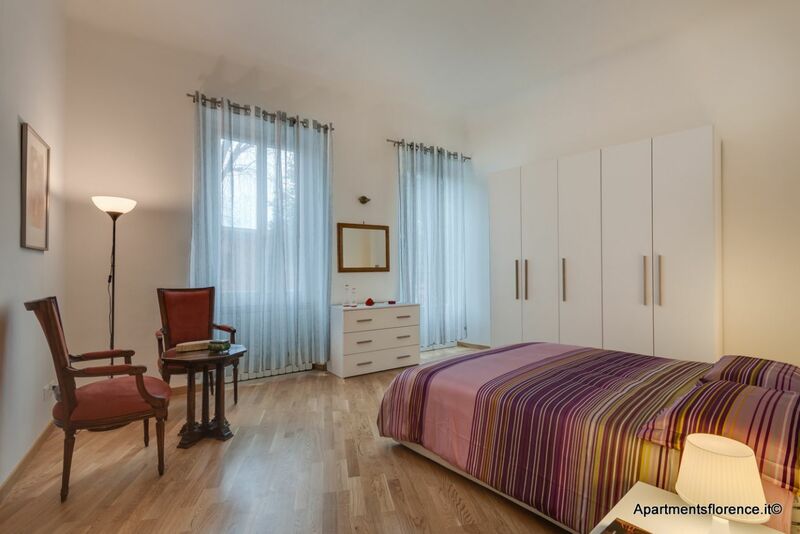 The result is a stunning, airy and welcoming feeling apartment where you will certainly feel at ease from the very first moment. 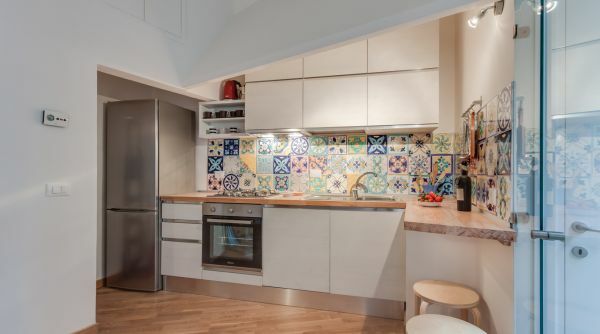 The large open space living area is sunny and bright, equipped with a nice sofa, flat screen Tv, round dining table for four and a lovely kitchenette, modern and decorated with typical colorful ceramic tiles, where you will find everything you need to cook your own meals at home. 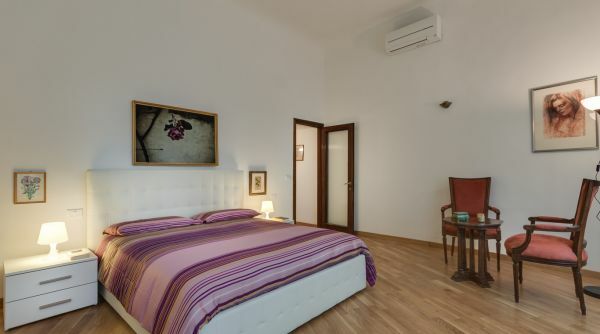 The master bedroom is very spacious and luminous and features a large queen size bed, closet, dresser and night tables. 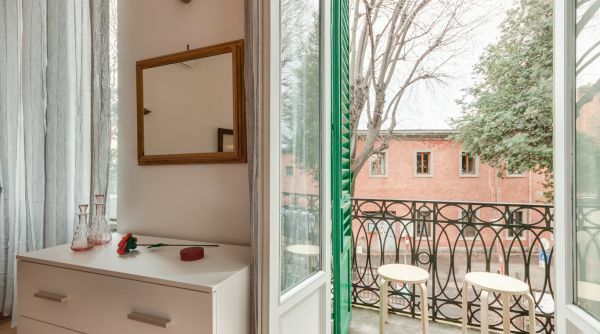 This room also has access to a nice outdoor balcony. 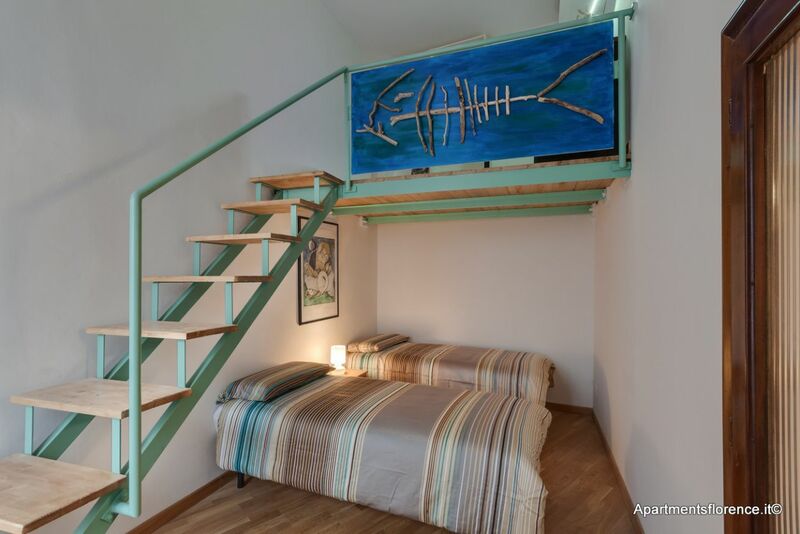 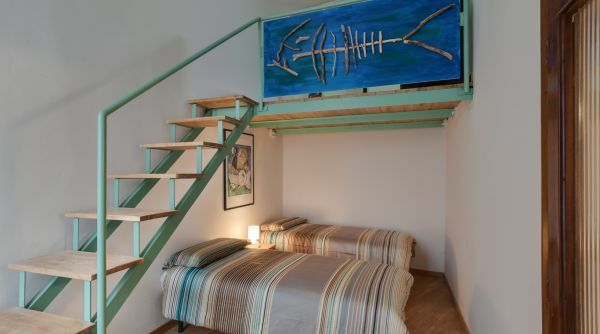 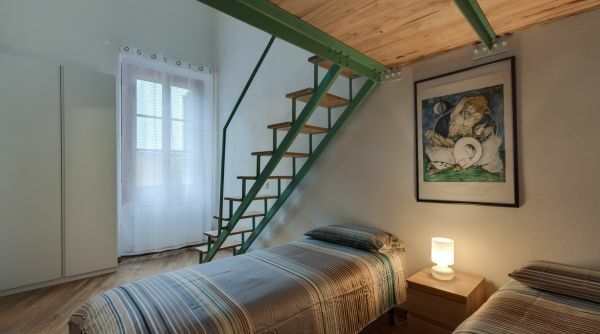 The second bedroom is set on two levels. 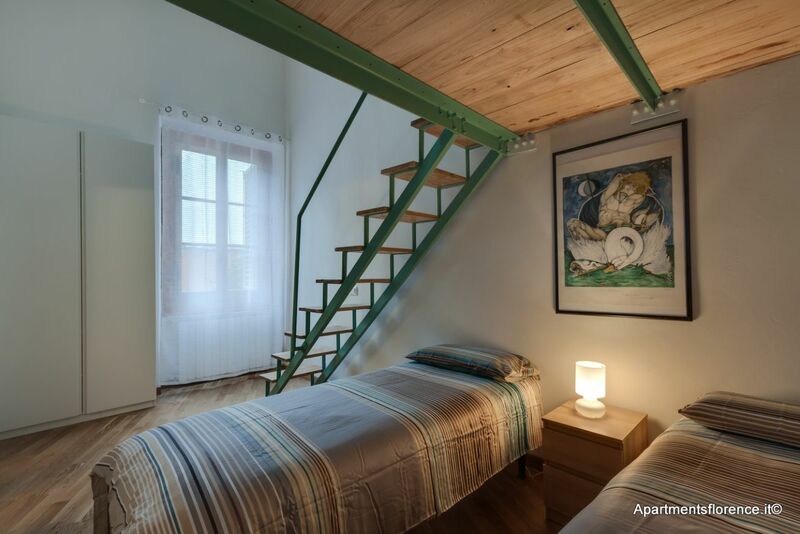 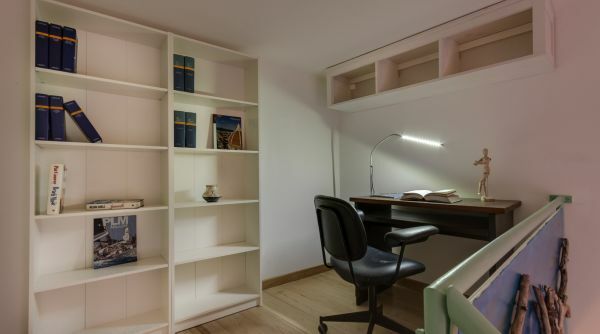 Downstairs you'll find a couple of single beds and a closet, whereas on the mezzanine you'll find a comfortable studio area, with desk and libraries. 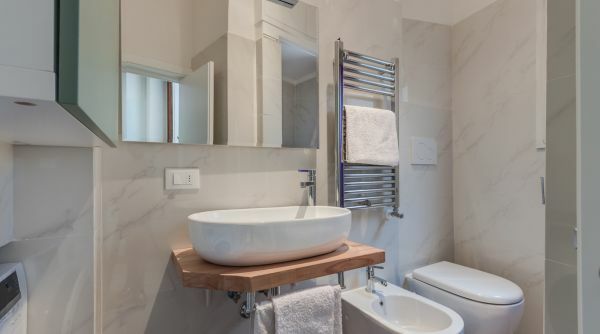 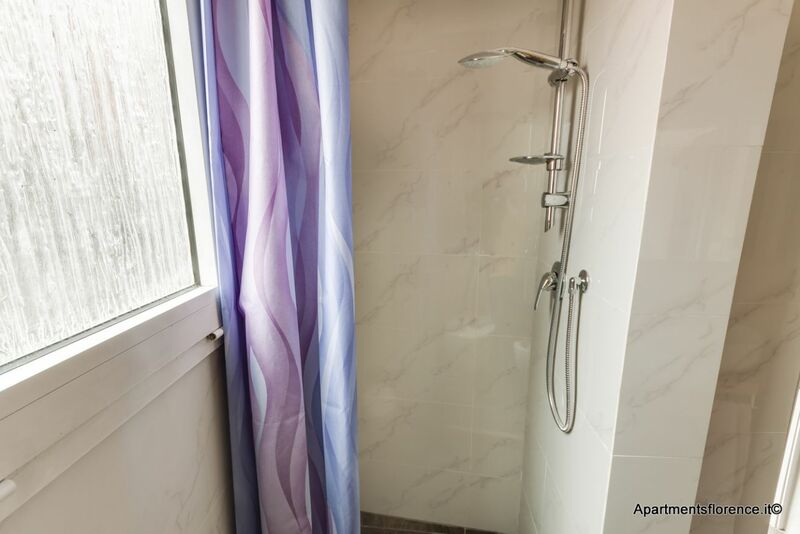 The marvelously renewed bathroom with large walk in shower completes the property. 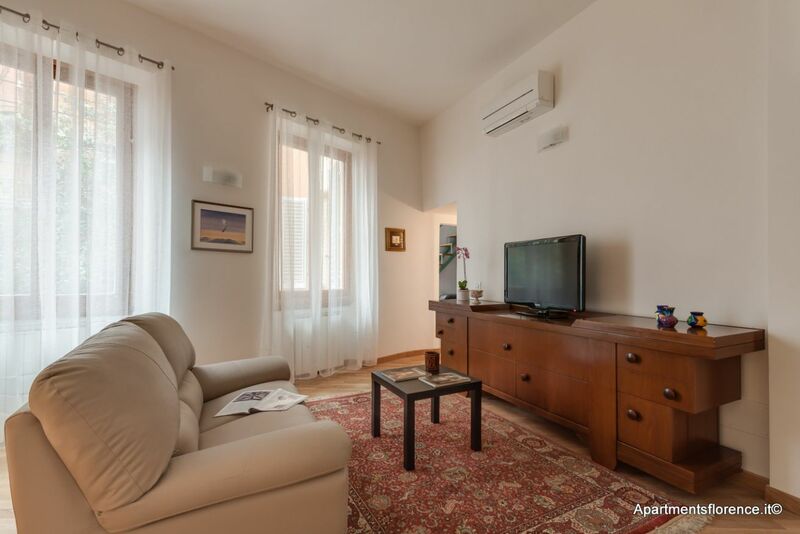 This stylish and comfortable apartment is the ideal choice for a family or a group of friends looking for a charming location for their holiday in Florence. 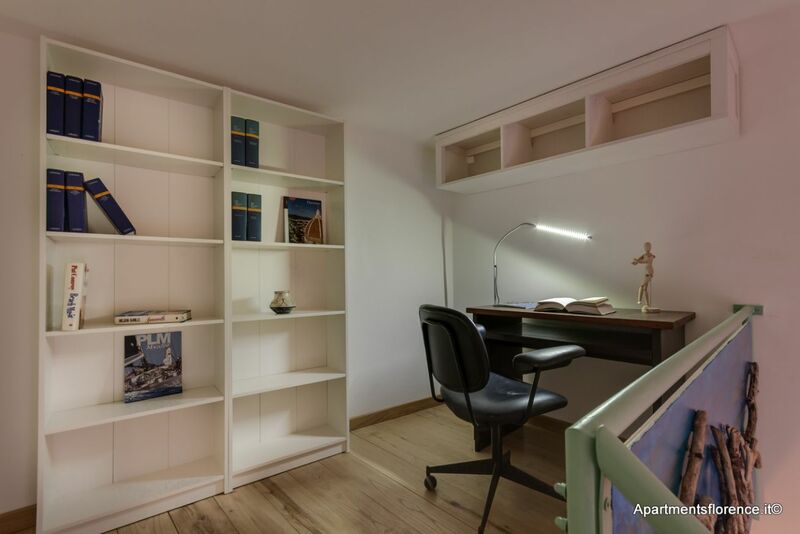 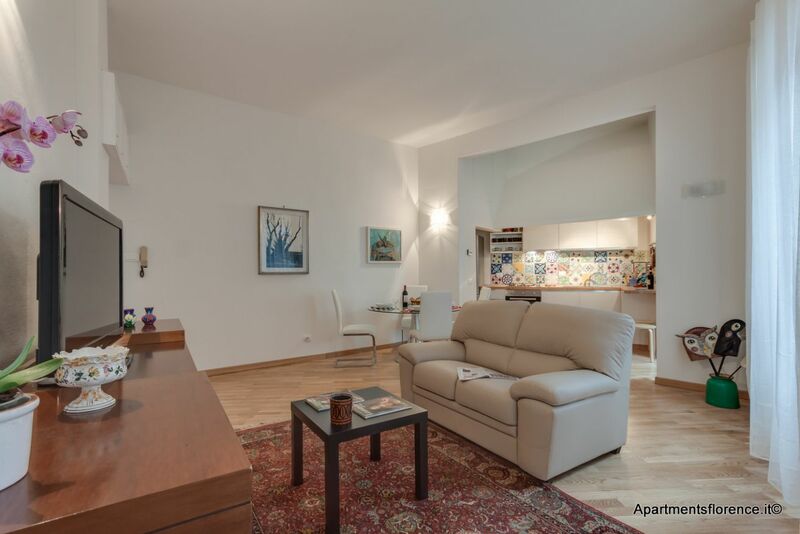 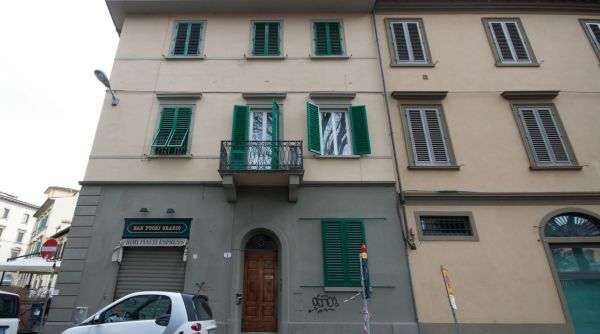 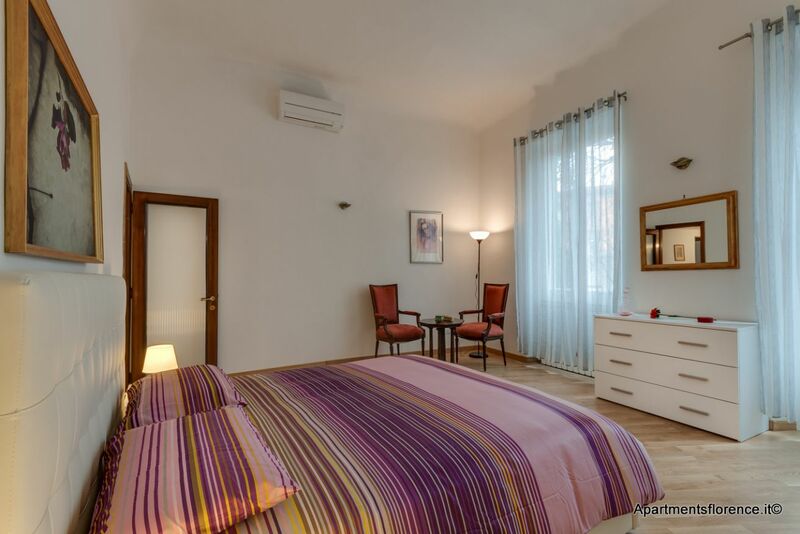 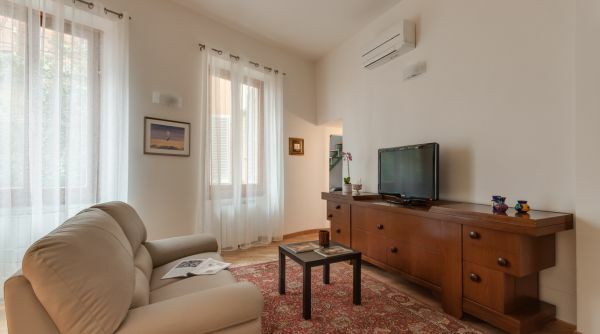 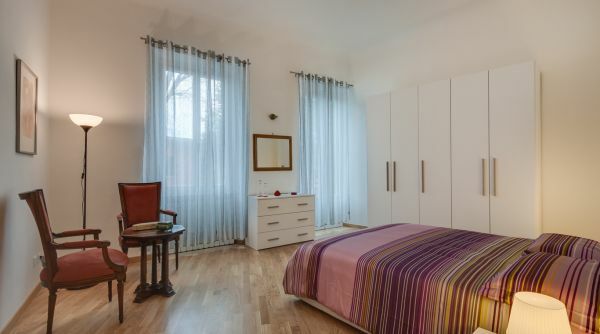 Located just outside the No Traffic Zone and right in front of a large parking area, the apartment is easily reachable by car and well connected to every area of the city by frequent buses stopping right in Piazza della Libertà. 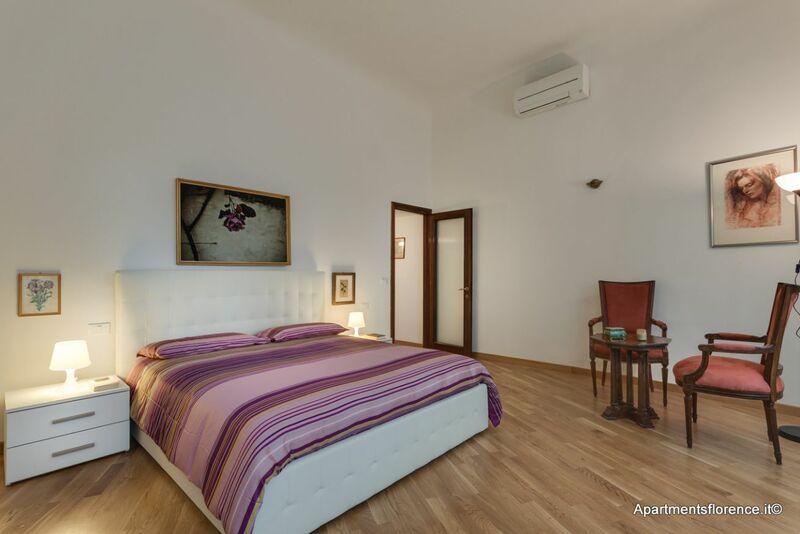 Choosing this apartment you'll get the chance to stay in a quiet setting, just outside the main touristic tracks, and yet very close to all of Florence's historical and artistic landmarks. 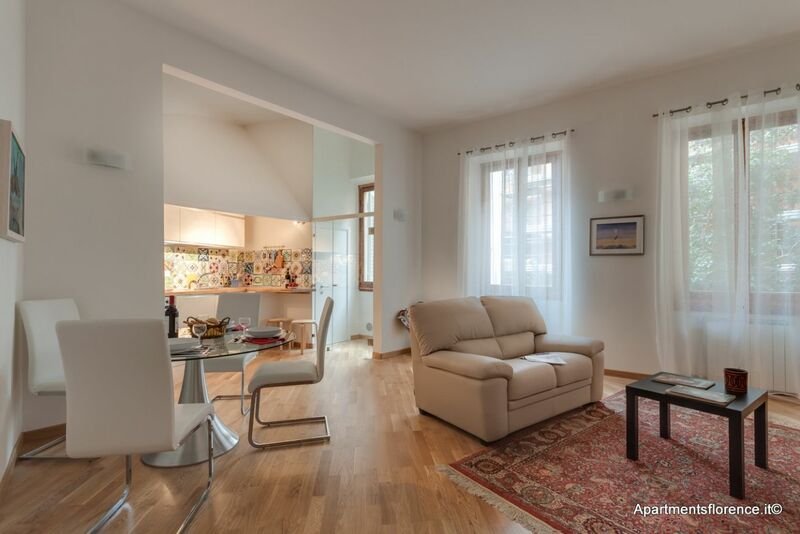 The Duomo and the Galleria dell'Accademia are really just a ten minutes walk away, as well as the other many beauties Florence has to offer, such as Palazzo Vecchio, the Uffizi Gallery and Ponte Vecchio. 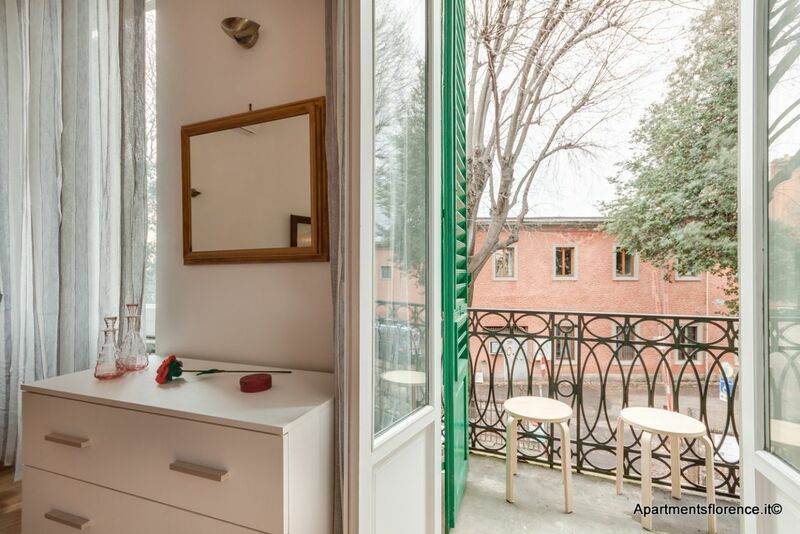 The area surrounding Piazza della Libertà is well serviced with shops, restaurants, parkings, supermarkets and also very close to a beautiful historical garden, the Orticoltura Garden. 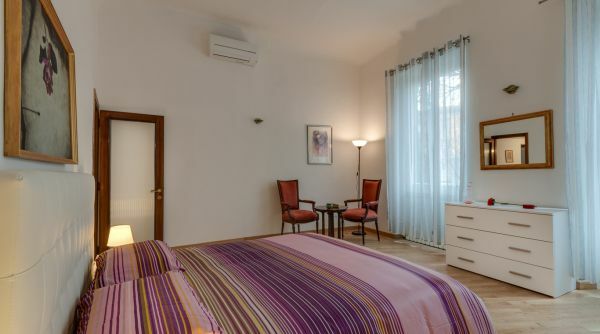 The check in/check out procedure, bed linens, cleaning service, assistance and maintenance are all provided directly by Apartments Florence's staff..
•	Located just outside the No Traffic Zone, in front of a large parking and only 10 minutes away from the Galleria dell'Accademia.